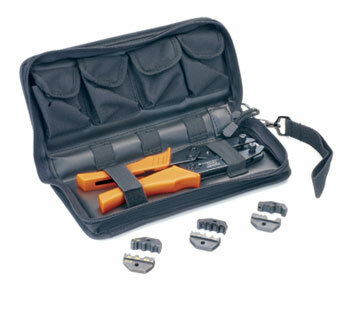 A Paladin coaxial connector crimp tool plus three die sets, supplied in a padded case. 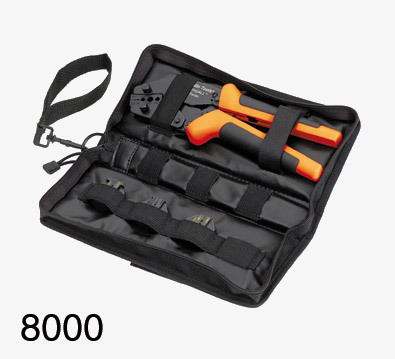 Kits contain either the 1302 or 8000 crimp tool, plus die sets 2034, 2656 and 2699. The case is the Paladin 901381.